A man who was wanted by the Folsom Police Department has been taken into custody after evidence left at the crime scene led to his arrest. 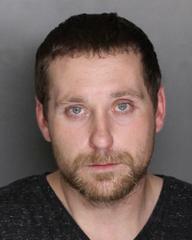 The suspect, Anatoliy Romanovch (pictured above), 29, allegedly stole a set of expense golf clubs from a Folsom residence in late December 2017. Based on evidence left at the scene, detectives were able to tie Romanovick to the crime.